BJP President Amit Shah has invited Bihar Chief Minister Nitish Kumar to join the ruling National Democratic Alliance (NDA) at the Center. Nitish Kumar’s party JDU and BJP have formed a coalition government in Bihar. 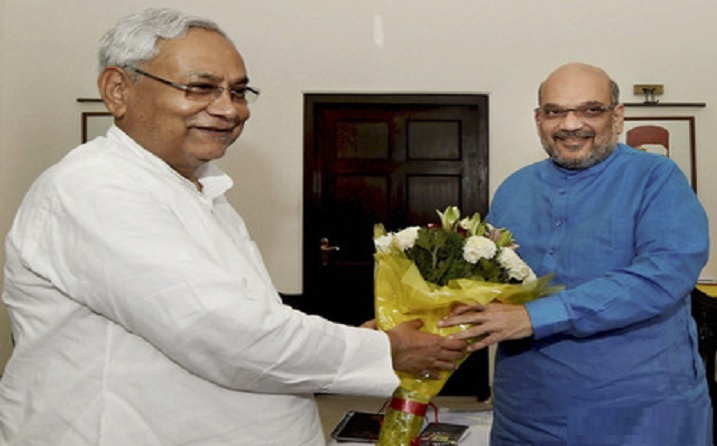 Amit Shah said in the tweet, “I met JDU chairman Nitish Kumar at the residence yesterday. I have invited JDU to join the NDA. “There is a possibility that JDU will approve the proposal to join the NDA in its national executive meeting in Patna on August 19. Asked whether JDU will join the Cabinet, a JDU leader said that such a decision is natural. He said that when we have formed a government in Bihar, it is natural that we also get involved in the center.